Organised by the Confrérie des Vignerons, this celebration, unique in the world, takes place once a generation in Vevey, the town situated at the heart of the viticultural region Lavaux, in the canton of Vaud, in Switzerland. 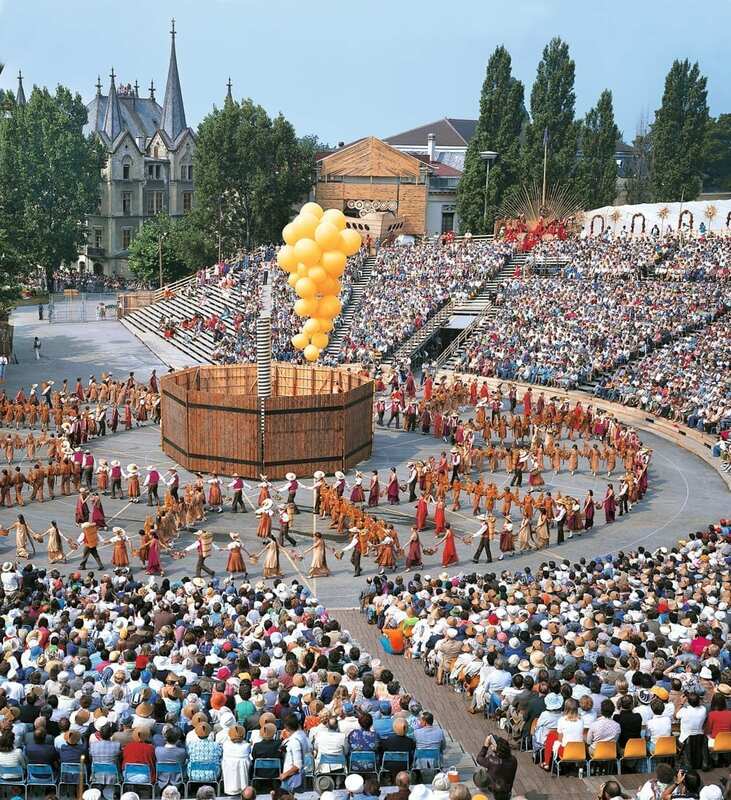 It is the first living Swiss tradition to have been recognised by UNESCO. Since the “dawn of time” or most probably since the 17th century, the Confrérie des Vignerons has ended its general assembly with a parade. 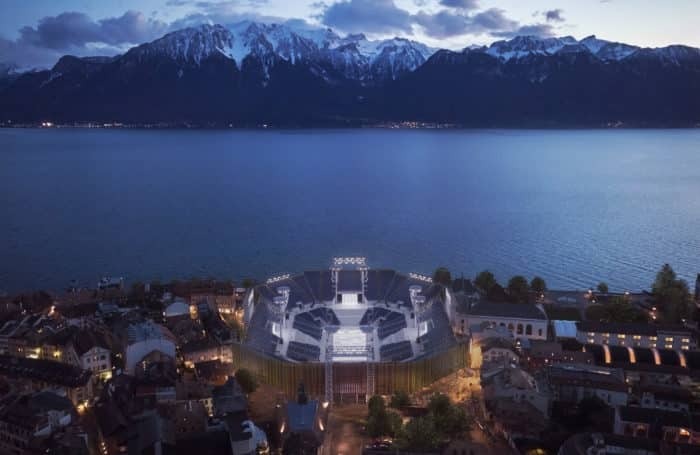 From the city where the Saint Martin church looms above, its members, followed by the winegrowers and many curious spectators, proceed along the streets of Vevey to the lake where a frugal banquet awaited all. Music, song and dance punctuate this joyful procession that made a stop in the small squares and under the windows of notable citizens. In the course of the 17th and 18th centuries, the parade grows. 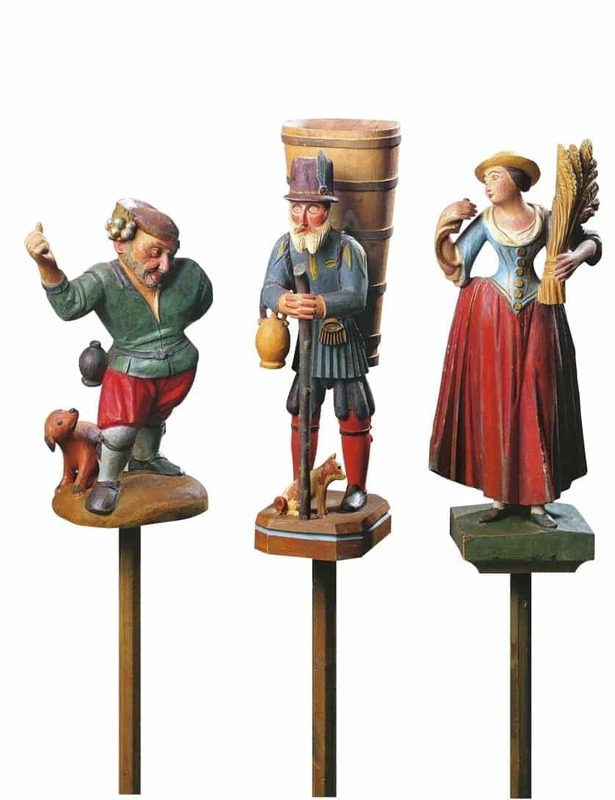 Musicians participate, small figurines called “marmousets” are carried in a procession. and young people play the roles of Bacchus, god of wine, and Ceres, goddess of grain and harvest. Already, all the region is abuzz, it becomes a must to attend this joyful “pourmenade”. Given the constant increase of its cost, it already begins to take place only every three, then six years. The parade of 1791 is the last real procession before the advent of the Fête des Vignerons. 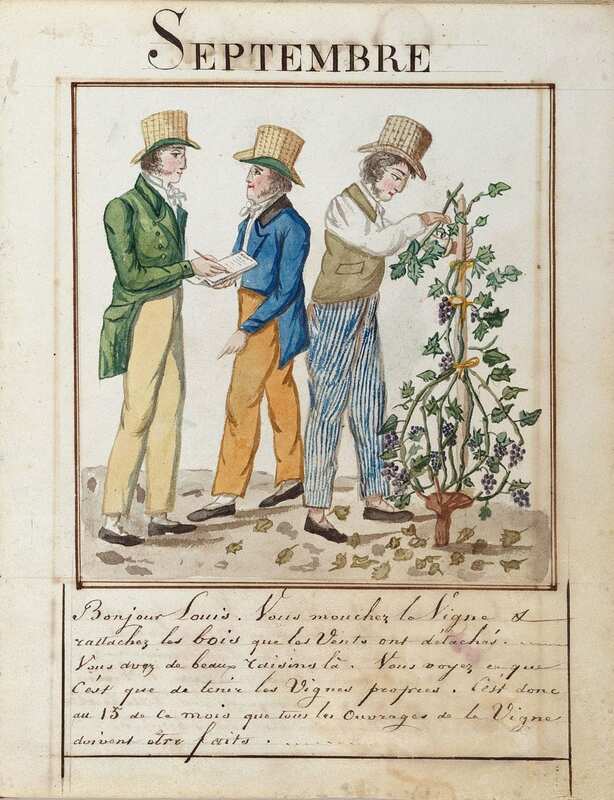 Towards 1770, the Confrérie des Vignerons assumed the objective of encouraging the perfecting of wine-growing and rewarding the winegrowers/labourers for the quality of their work instead of focusing on possible gaps in knowledge. When finances and economic and political circumstances allow it, the best workers are prioritised and rewarded. In 1797, the Abbé-Président and the Council of the Confrérie des Vignerons decided to reward the best winegrowers/labourers in an official, public ceremony. Rewarding the best workers transforms the former parade into the Fête des Vignerons. A first platform with 2,000 places was erected in the market place of Vevey so that the many interested people could attend the event. Given the success of this first award ceremony, a real show was born from the desire to showcase this event. A new structure, new decorations, division into 4 seasons and the inclusion of new figures such as the god Pales, manage to transform the parade into a real show. The difficult years following the Vaud Revolution began the establishment of a new Fête. Twenty-two years later, in 1819, the moment had finally arrived to unveil the Fête des Vignerons to the younger generations. This year, the Anciens Suisses, symbols of the new patriotic conscience of Vaud and the Ranz des vaches song, an ancestral hymn devoted to the close links economic and social links between the lakeside winegrowers and the farmers of Veveyse, in Fribourg, complement the themes that are still present today. With improvements in transport – steam boats as of 1833, railways as of 1865 – more and more spectators came to Vevey. The Fête des Vignerons has not stopped growing, both in terms of the importance of the event and in terms of its artistic quality. The musical and poetic patchwork of the first Fêtes of the 19th century, where people were happy with an arrangement of words of circumstance on popular, well-known tunes, has been succeeded by Fêtes in which recognised artists created original and coherent pieces. In 1851, François Grast composed the first complete musical scone which gave some unity to the ill-assorted texts written by different amateur poets. He also composed the score for the 1865 Fête. 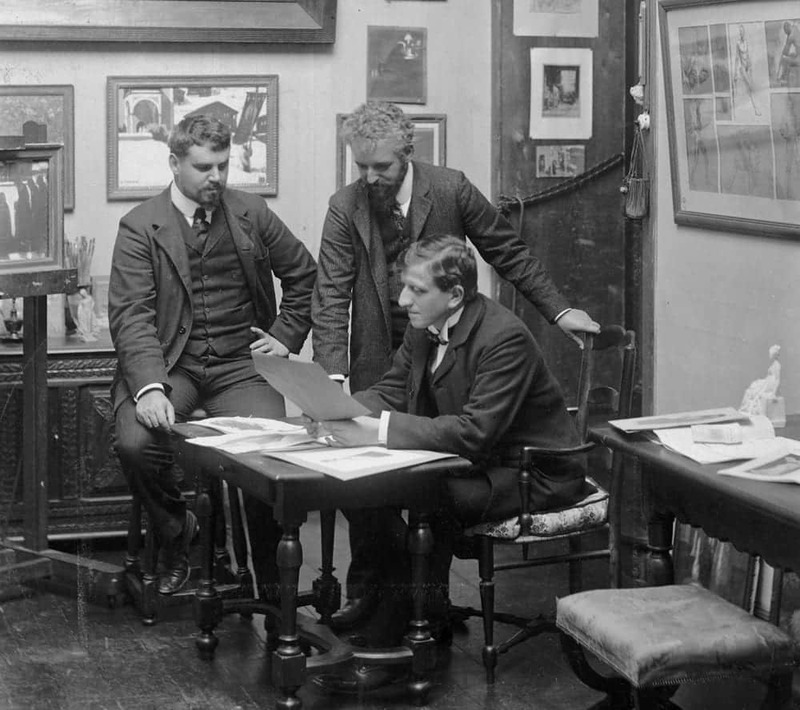 In 1889, the task of composing the musical score was given to Hugo de Senger. Already, the Fête was trying to harmonise popular and elite culture. It was inspired, at the same time, by the “Festspiel”, opera and alpine festivals. In 1905, a coherent piece was achieved, for the first time, thanks to the close collaboration between brothers René and Jean Morax – author of the booklet and painter respectively – with the composer Gustave Doret. Thanks to them, a true hymn to the land was born, whose success would mark generations of singers. After a resounding success, the fear of disappointing and innovating during a difficult period encouraged the Confrérie to turn to Gustave Doret once more in 1927. The task of the booklet was assigned to Pierre Girard. The Second World War delayed the next Fête. The world had changed. In 1955, in a society that enthusiastically discovered new entertainments, the Confrérie des Vignerons feared that its traditional Fête would no longer be able to meet the expectations of its audience. Carlo Hemmerling and Géo-H. Blanc helped to make the Fête go beyond its regional borders. An impressive selection of international artists therefore arrived to complement the enthusiasm of local figures, and a slight air of Broadway entered the market place of Vevey. In 1977, Jean Balissat composed music that beautifully supported the ideas of the librettist Henri Debluë. 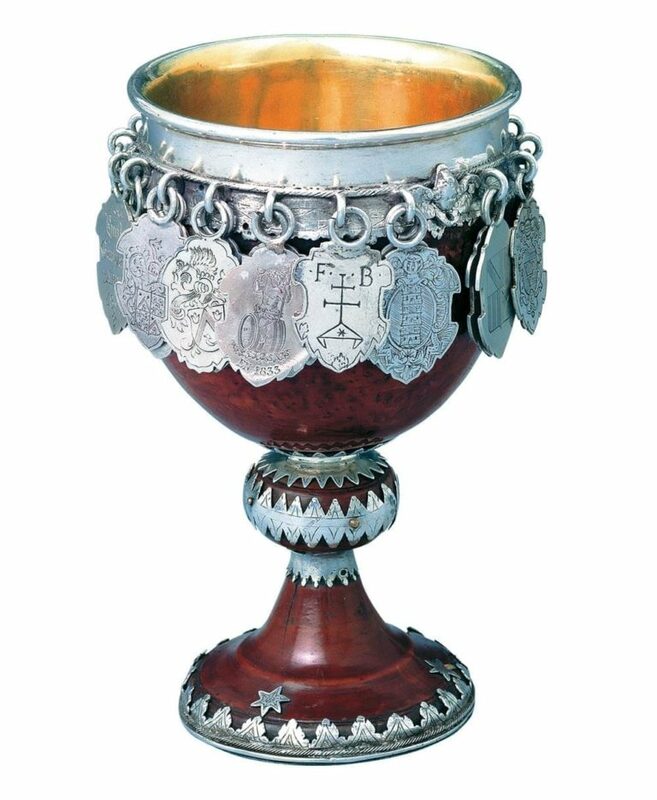 This Vaud artist dreamed, after the fasts of the 1955 event, of bringing the Fête to its place of origin and recreating a link with Christian tradition – such as the Christian symbol of the vine and the wine – which, up until then, only appeared slightly in the middle of a pantheon of ancient and pagan gods. The Fête of 1999 was designed and staged by François Rochaix. The winegrowers were truly placed at the centre of the composition. A unique celebration, the award ceremony, was entirely dedicated to them, before Arlevin, the mischievous, fictional wine-grower represented them all during the 14 representations. Vevey has a unique and majestic space: its market square, where the Fête des Vignerons has been held since its first edition in 1797. The square, largely open, has a gentle slope that descends to the lake and the mountains beyond. It hosts bi-weekly markets but also the centuries-old fair of Saint Martin, travelling circuses and, once in a generation, the Fête des Vignerons. The challenge for the organizers of the Fête des Vignerons is to ensure both the expression of the aesthetic will of directors and the technical realization of a temporary stage space, which must accommodate many thousands of performers. 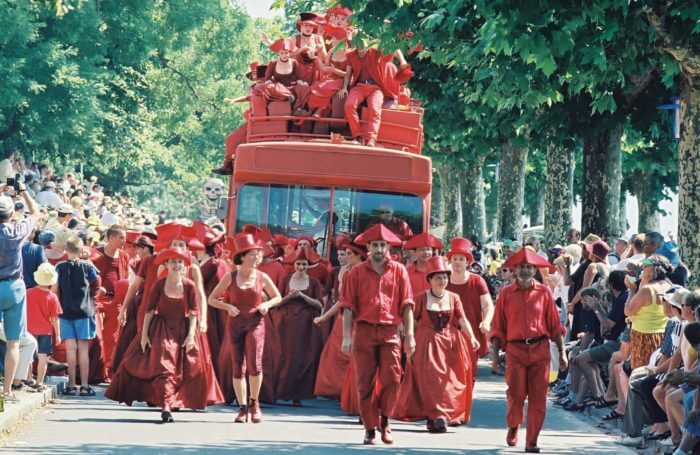 The Fête des Vignerons is an open-air spectacle. 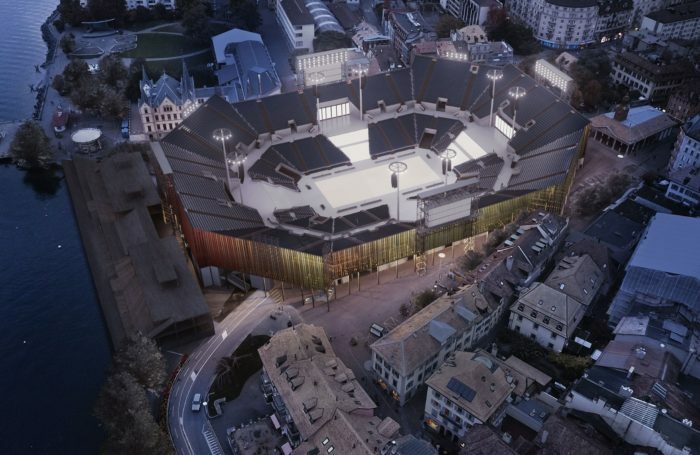 The arenas are built for a month of performances. 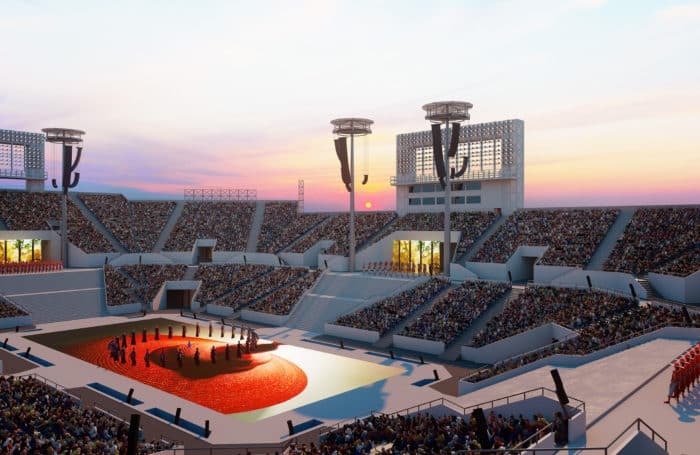 The arena for 2019 is expected to host up to 20,000 spectators, all gathered to be part of the celebration en masse. The purpose of the Confrérie des Vignerons is to visit the wineries on behalf of landowners, to monitor and judge the work of winegrowers, the vignerons-tâcherons, whose task is to maintain the vineyards entrusted to them. The origin of the Confrérie des Vignerons of Vevey is still a mystery today. The oldest document referring to it is the First Manual of the society, the minutes of proceedings. It was offered to the Confrérie des Vignerons by the “Wise, Virtuous and Prudent Chrétien Montet, Lord Abbot of the Venerable Abbey of Agriculture of Vevey, called St Urbain” on the twenty-second June 1647. 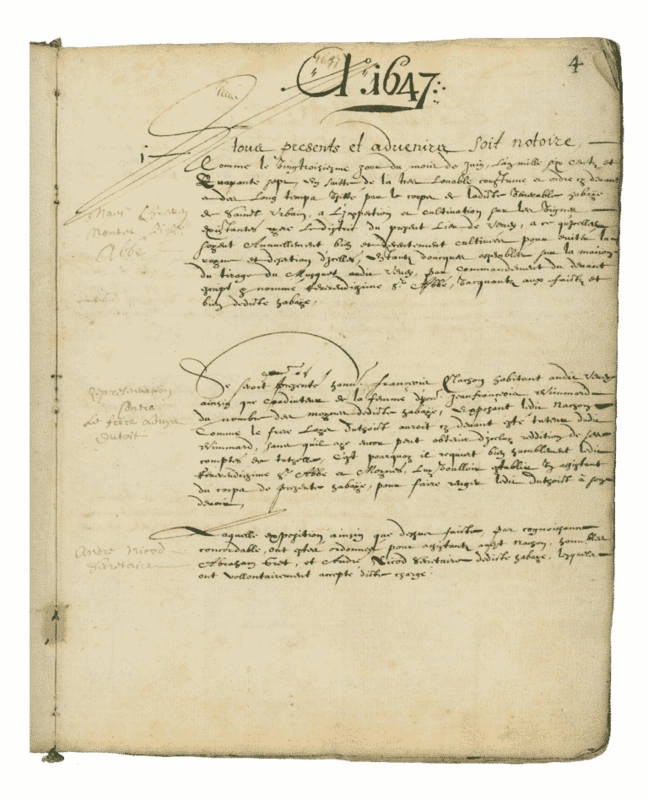 The dedication and the first pages of this document indicate that the Confrérie (then called the “Abbey of Agriculture”) had already been in regular operation for a long time. Its activities, its Benedictine maxim “Ora et Labora” (“pray and work”) and its protector – Saint Urbain – all lead us to think that the Confrérie des Vignerons already existed in the Middle Ages. In 1647, the Abbey of Agriculture was a very small society. It developed over the course of the 17th century, and close to a quarter of the male population of Veveyse formed part of it in 1776. The Abbey of Agriculture was – and still is – a society of public interest. It never brought together winegrowers – as its current name could suggest – but vineyard owners who entrusted work on their vineyards to wine-grower/labourers. The Confrérie des Vignerons is therefore not a corporation. It did not defend the interests of a profession or trade, but the interests of land owners, who, at the highest ranks were the urban community – that is, the bourgeoisie – and the authorities – Their Excellencies of Bern and bailiffs – on behalf of whom they carried out their annual visits to the vineyards of Vevey. In the 17th century, the Confrérie des Vignerons organised an annual parade through the city. This followed a general assembly where the work of winegrowers/labourers was discussed (and criticised) and preceded the traditional banquet of the Society. 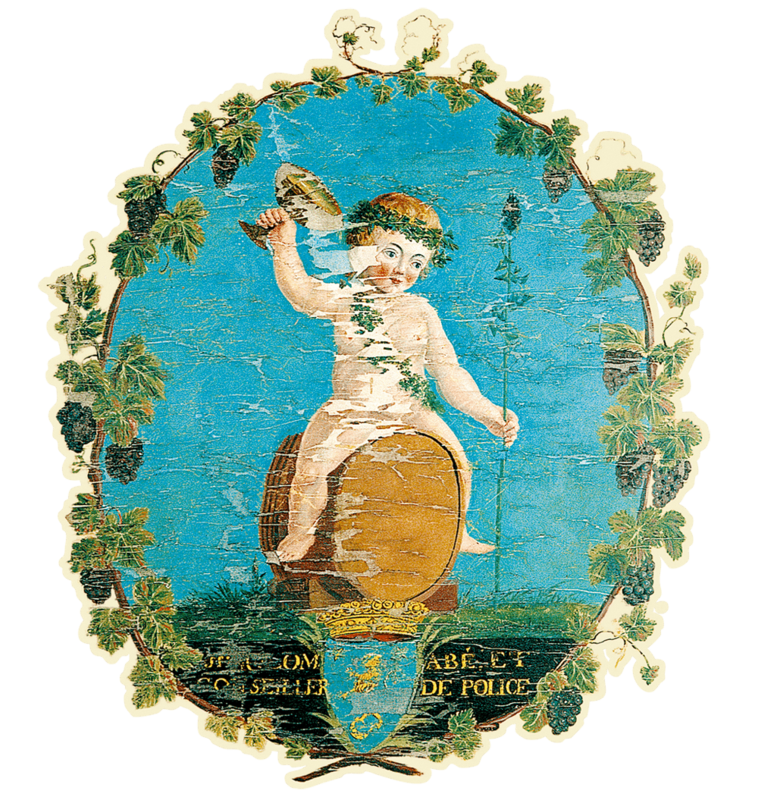 Towards 1770, the Confrérie des Vignerons assumed the objective of encouraging the perfecting of wine-growing and rewarding the winegrowers/labourers for the quality of their work instead of focusing on possible gaps in knowledge. The best predominated and were given prizes. It is this ceremony, in which the best workers were given prizes, that would transform the former parade into the Fête des Vignerons. 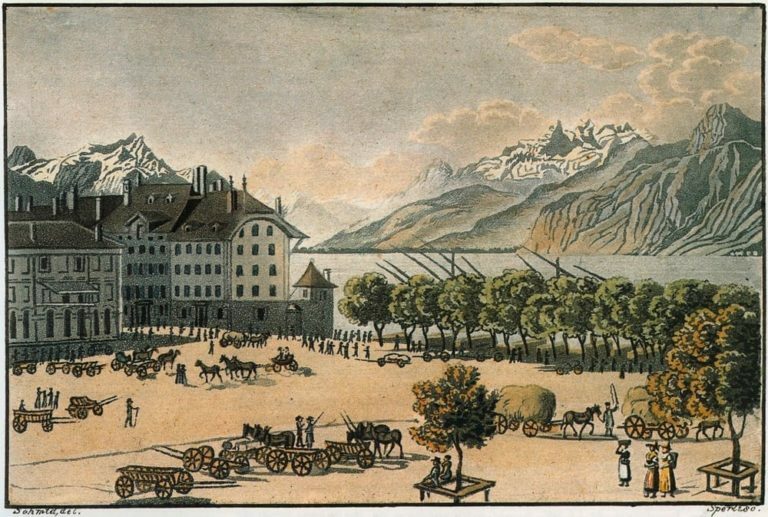 In 1797, while country parties and everything do to with nature were in vogue in high society, a first stage was erected in the market place of Vevey so that the many people who were interested could attend this event. The Fête des Vignerons was born. Today, the Confrérie des Vignerons of Vevey is only known to the public as the organiser of the Fête des Vignerons. The establishment of this impressive celebration represents a considerable part of its activity, however it remains true that the main goal of this society is to encourage and promote perfection in wine growing. With this intention, it organises three annual visits to the vineyards for the owners who give it this task. 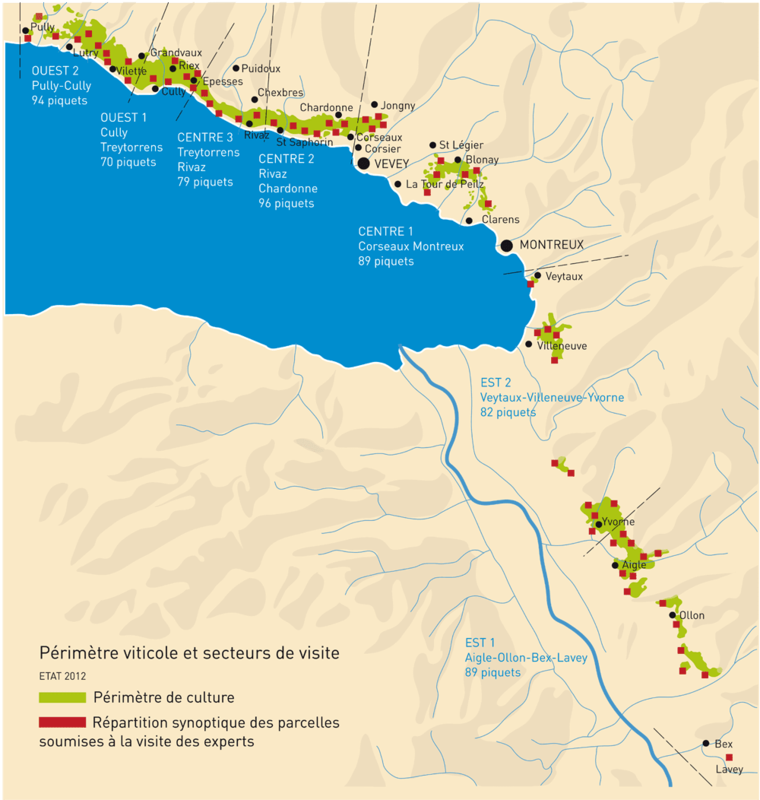 These vineyards are located in an area including Pully, to the east of Lausanne and Lavey, on the doorstep of the canton of Valais. During these visits, the work of the winegrowers/labourers is graded and, every three years, the rank obtained based on these grades is used in a ceremony with rewards for the winegrowers under the control of the Confrérie. This ceremony is called “Trienniale”. Happening approximately once a generation, this ceremony grew to become the Fête des Vignerons. The Confrérie des Vignerons currently has around 1,700 members. They are no longer necessarily land owners but, depending on their status, their attachment to the country and the interest they show in wine growing, they are taken into consideration through their membership request. 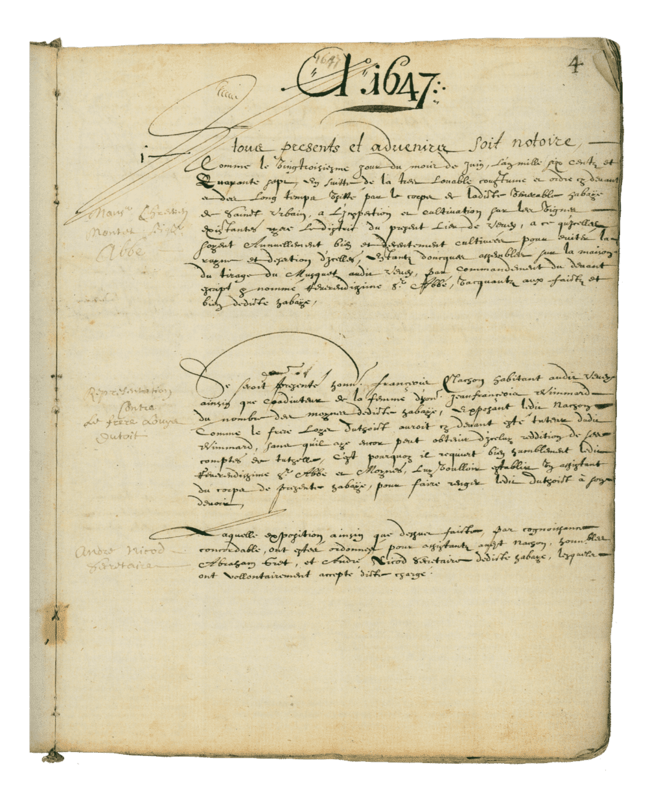 In order to join the Confrérie, you must make a written request to the Abbot-President, have a good reputation, be a Swiss citizen, be over the age of 16 and pay the membership fees set by the Council. The Confrérie has been open to women since 2008. The members of the Confrérie meet every two years in a general assembly during the two-yearly meeting. The Assembly elects the 24 members of the Council with the “Abbé-Président” at the head. The Confrérie des Vignerons has come from the Veveyse bourgeoise. Its Abbé-Président (presidents of the Confrérie Council) were – and still are – most often members of the city councils, lawyers, notaries or judges.